"..Palafox Associates, the multi-disciplinary architecture and design company of Arch. Felino Palafox Jr., is one of the ardent advocates who champion urban master planning. The company is into architecture, master planning, and/or urban design of islands ..."
"..As far as Palafox Associates is concerned, the green agenda is important and must be pursued to ensure a healthy and sustainable lifestyle in the city. Proposed Sky Garden "We are making sure that when we try to develop the city, we also consider the ..."
"..To achieve a holistic framework toward sustainable development, the Mindmap plans to build efficient mass transportation, business-friendly sites for economic development, and environment-friendly communities through waste management and renewable energy." 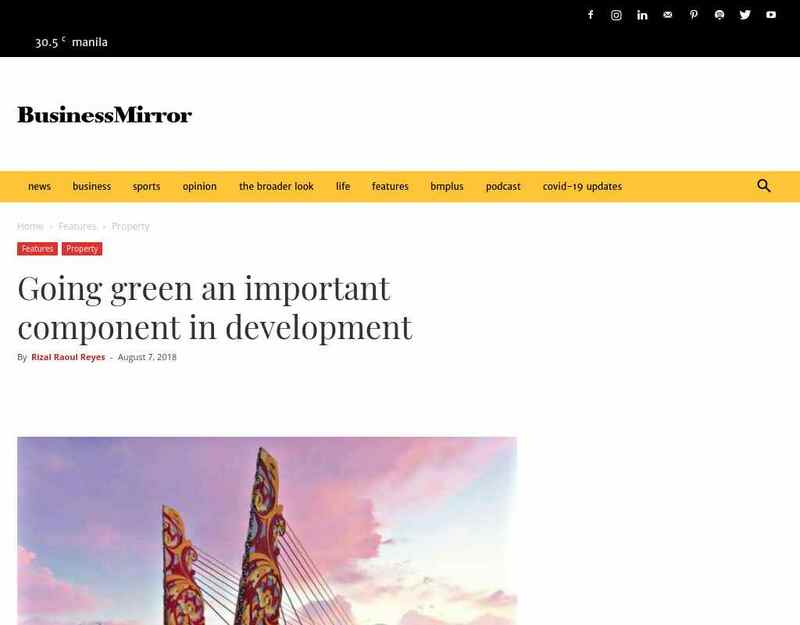 "..Ramos said the LGU's proposal was anchored on the "Build, Better Berde" theme, stressing to build green infrastructure that can provide a sustainable development under the Metropolitan Vision of Mindmap for Davao City. To achieve a holistic framework ..."